Square Enix Inc., the publisher of Square Enix interactive entertainment products in the Americas, today announced that it will be releasing the HD remastered editions of Final Fantasy X and Final Fantasy X-2 in 2013 for the PlayStation 3 computer entertainment and PlayStation Vita handheld entertainment systems. "These games are classic fan-favorites, and we hope that new and old Final Fantasy fans can experience the world of Spira and the story of Tidus and Yuna in a brand-new light with these remastered editions," said Yoshinori Kitase, producer of Final Fantasy X and Final Fantasy X-2. Final Fantasy X/X-2 HD Remaster is a single disc bundle that will be available on the PlayStation 3 system. 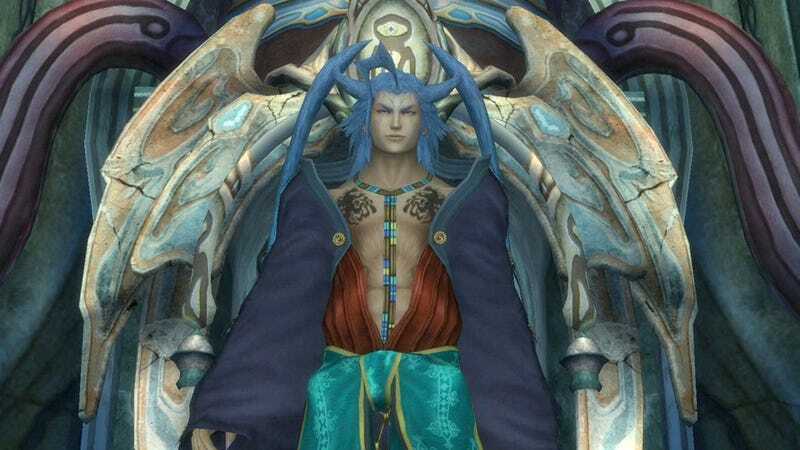 Final Fantasy X HD Remaster and Final Fantasy X-2 HD Remaster will be available for the PlayStation Vita system. The remakes are landing this year, and there's also a trailer coming next Monday, March 25. Meanwhile, have a few screenshots.